Tempered glass Baseus 3D Soft is a perfect protection for your mobile phone screen from the upper edge to bottom. 3D technology results in covering the whole screen, including the display rounding. It adjoins very well so there is no place for dirt and dust. Thanks to the extremely low thickness of 0.23 mm it is completely undetectable and invisible. It provides 100% value of touch and freedom of use. 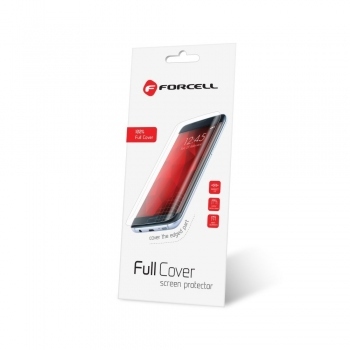 The glass protects the screen against cracks, scratches and damage. Oleophobic coating provides clarity of the screen and resistance to fingerprints and dirt. The glass includes necessary elements for self-assembly with special stickers to facilitate proper placement of it. After application the glass adheres well to the screen, leaving no air bubbles and non-adhesive formulation facilitates image of glass without leaving a trace. The edges of the glass are rounded - safety guaranteed.